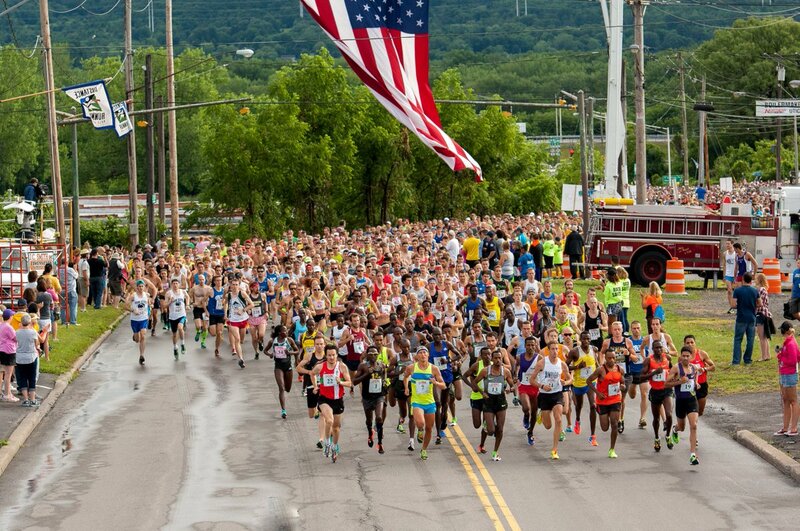 The Boilermaker 15K is the premier event of Boilermaker Weekend. This world renowned race is often referred to as the country's best 15K. The Boilermaker 15K is recognized for its entertaining yet challenging course and racing's best post-race party, hosted by the F.X. Matt Brewing Company, featuring Saranac beer and a live concert! 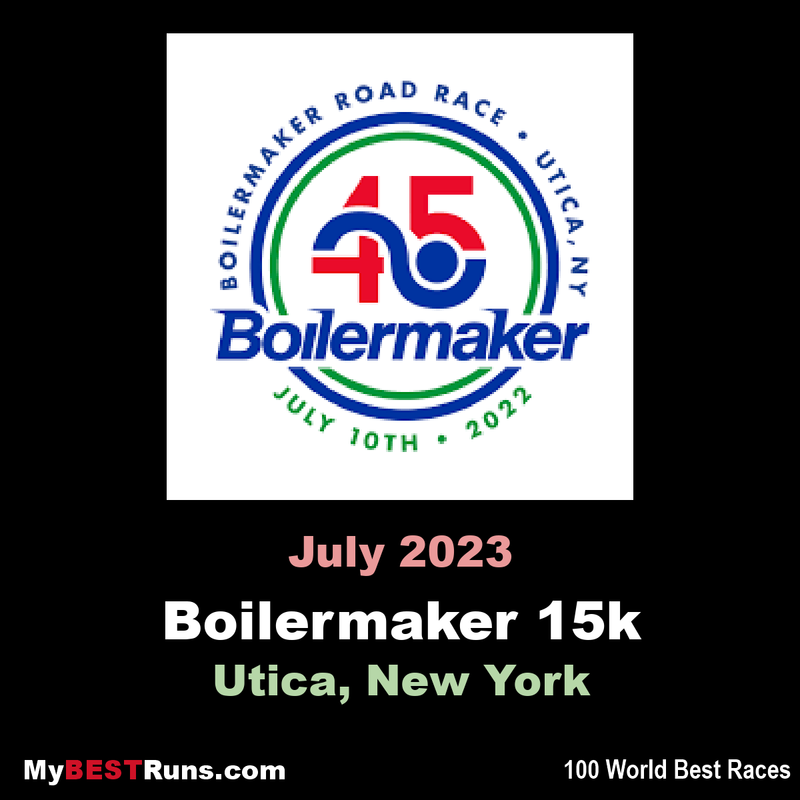 With 3 ice and water stops every mile, strong attention to medical detail, and crowd support like no other race, the Boilermaker 15K is an event worth training for. 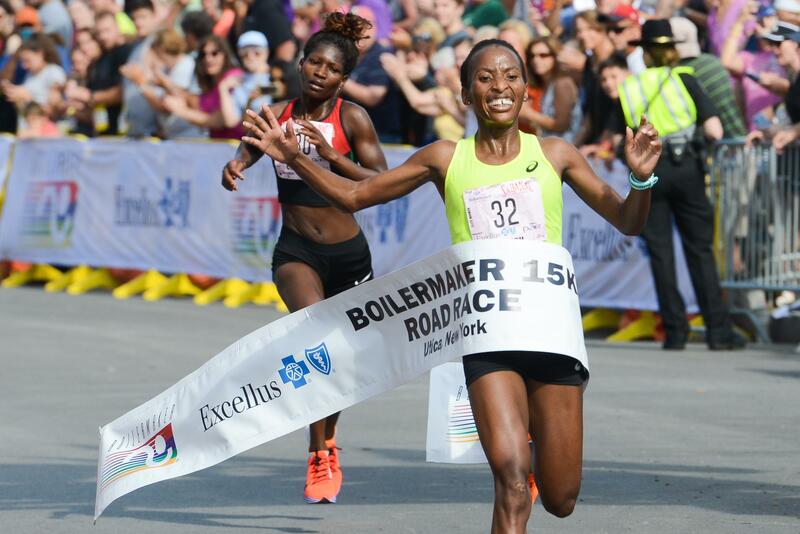 Hands down, the Boilermaker 15K is one of the best road races in America. On Boilermaker Sunday each July, nearly half the Utica population come out to cheer for and entertain the runners. Typically we have 6,000 volunteers, New York City would have to put 800,000 volunteers out there to match the ratio of volunteerism found in Utica! Once again African runners dominated the high-caliber Boilermaker 15K, Sun., July 10 in Utica, N.Y., as Teshome Asfaha of Ethiopia was a decisive men’s winner and Cynthia Limo, from Kenya, was the women’s champion. The Boilermaker 15K presented by Excellus BlueCross BlueShield is the premier event of Boilermaker Weekend. 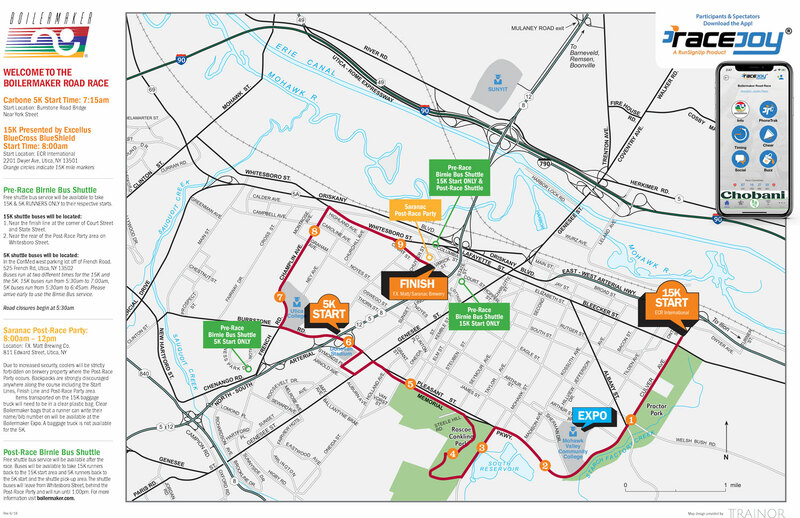 This world-renowned race is often referred to as the country's best 15K. The Boilermaker 15K is recognized for its entertaining yet challenging course and racing's best post-race party, hosted by the F.X. Matt Brewing Company, featuring Saranac beer and a live concert! With 3 ice and water stops every mile, strong attention to medical detail, and crowd support like no other race, the Boilermaker 15K is an event worth training and traveling for and should be on every runner's "must-do" list.